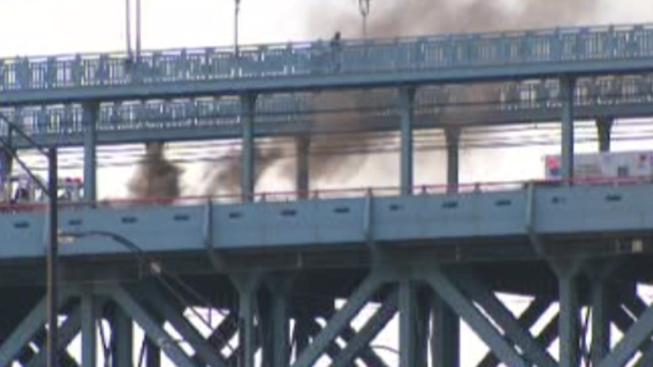 One man was injured in a three-car crash on the Ben Franklin Bridge this evening. Police say a man driving a Chrysler 300 lost control of his car and crashed into another vehicle around 7:15 p.m. on the eastbound side. That car hit a third vehicle and one of the cars caught fire, according to police. Investigators say the driver who lost control of his car complained of some sort of chest pain and was taken to Cooper Medical Center. The other two drivers got out safely. The bridge was closed for about 30 minutes while crews cleared the accident.